Come face to face with an ancient Kauri tree, as well as other native flora and fauna. 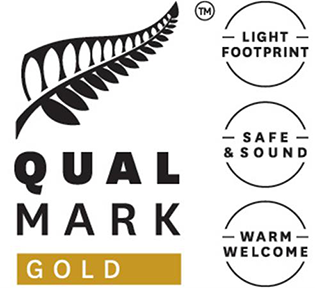 The Private full day tour of Auckland will be provided by TIME Unlimited Tours, winner of multiple global awards including the National Geographic World Legacy Award. Be transported in one of our luxury vehicles where attention to detail and a warm welcome is what we are renowned for. Enjoy our complimentary snack baskets, tastings of iconic NZ foods & beverages and their iconic resource boxes, allowing you to use all your senses as part of your individual touring experience. Explore Auckland in one of our luxury vehicles hosted by one of our local and highly-knowledgeable Host-Guides. The day will be tailored to your interests to ensure the tour meets your expectations of a luxury experience! 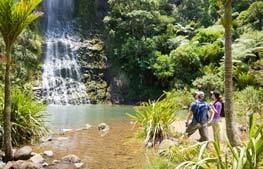 This tour typically takes in the best of Auckland city highlights and Auckland’s West Coast with its famous volcanic black sand beaches and Waitakere Ranges subtropical rainforest. 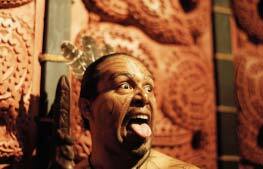 You can enjoy the tour in a luxury vehicle and visit among other things the most charming, arty and historic villages in Auckland’s suburbs, learn about New Zealand’s indigenous Maori culture and get the breathtaking views of several ancient volcanoes. 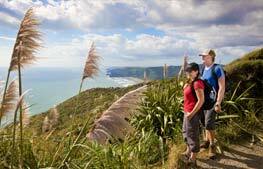 Plus discover dramatic cliff tops, stormy seas and unique black sand beaches on Auckland’s famous West Coast. As an added bonus for this private full day tour we incorporate an amazing Floatplane experience with Auckland Seaplanes. This seaplane tour departs from central Auckland"s Wynyard Quarter, with its wide range of restaurants overlooking the Seaplane Base. Taxi out into the Waitemata harbour for an exhilarating water-take-off. Fly past the harbour bridge, before you cross the beaches of the North Shore on route to Rangitoto island, the youngest volcano in the Auckland region. You will be able to look inside its crater, while the aircraft is just 200 meters above its summit and then continue your flight over a number of other islands. The route back to town will take you over the Auckland Museum and past the Sky Tower, the highest building in New Zealand before descending for a landing back in the Waitamata Harbour’s sparkling waters. We will incorporate this Floatplane flight into the day’s itinerary to ensure maximum enjoyment and best views for you. When booking this package tour, we will incorporate your Floatplane flight over Auckland into the Private Auckland Luxury Tour and taking into account considerations such as wind and weather conditions, daylight hours (flights must take place within daylight hours) etc. Should the weather conditions not be suitable for your flight, the Private Auckland Tour will still take place and we will refund the Floatplane portion for you. Cancellation of the Floatplane portion of this combo tour does not mean the remainder of your tour will be cancelled. However, if convenient you can move the Floatplane portion of the tour to another day in case of unfavourable weather conditions but will make your own way to the departure point of Auckland Floatplanes in Auckland City. All Private Tours start and finish in Auckland - we can incorporate hotel, airport or cruise ship pickups and drop-offs into the day’s itinerary and ensure your enjoyment and safety are always top-priority, including when deciding on pick-up and drop-off times. The full day touring & Floatplane experience lasts about 8 hours. All flights depart from Wynyard Wharf, Auckland Central, and you will be dropped off there and picked up again before being transferred back to your hotel. The Private Auckland Tour & Floatplane Combo operates with a minimum of 2 adult fares and we can host up to a maximum of 6 guests at any one time due to Floatplane restrictions but we can also accommodate larger groups, where you just take several flights incorporated into the day’s itinerary. PLEASE NOTE the Floatplane flight is NOT Private but you can upgrade to a private flight for an additional cost, or you may be lucky and happen to be the only group booked but this cannot be guaranteed. 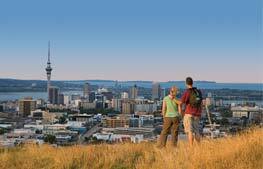 The Auckland Tour portion is a guaranteed Private Auckland Tour just for your group. Pick-up and drop-off services, our knowledgeable and friendly professional guiding services in a Luxury Vehicle and all guide and vehicle expenses. All taxes are also included. 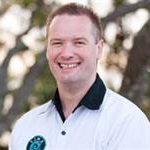 Our Experienced Host-Guides (Kaiarahi) not only become your local host but can lead you to popular local places and share with you our knowledge of New Zealand’s special cultures, cuisine, cityscapes and coastlines along with its unique flora and fauna. Pre-Tour Information for guests Please bring comfortable clothing/shoes for changeable weather, sun protection, any personal medication, your camera and a smile! Where possible we encourage you to leave behind any unnecessary valuable items.